The pro series 5 zone true low air loss system is optimal for a hospital, nursing home or long term care setting. The blower low air pump generates a powerful 1800 liters of air per minute, 40% greater than most low air mattresses. The pump easily converts to a bariatric mode with a push of a patient. The bariatric setting generates more airflow through the mattress catering to larger heaver patients. The constant true low air loss therapy creates a cool micro climate that drys and heals pressure sores effectively. Pro dynamic low air therapy gives the patient a sensation of "floating on air" offsetting painful pressure points to the body. 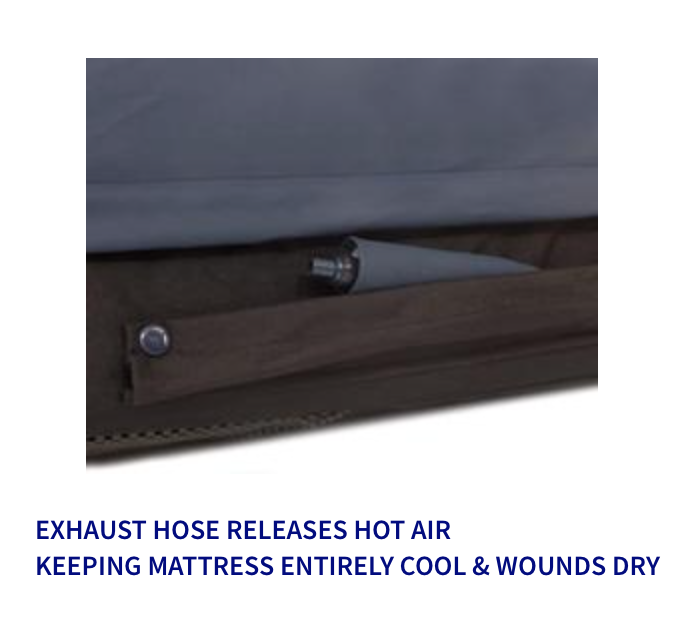 This true low air loss hospital bed mattress gives the patient an extremely comfortable support surface and the flexibility to customize the therapy. 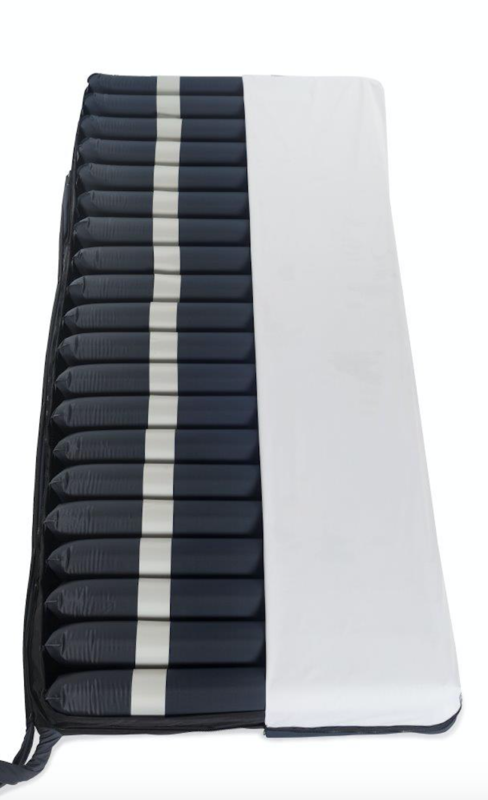 The mattress is balanced using 5 distinct pressure zones that automatically adjust to the patients weight and body type. This allows for patient immersion and comfort healing stages 1-4 bedsores in a long term care setting. 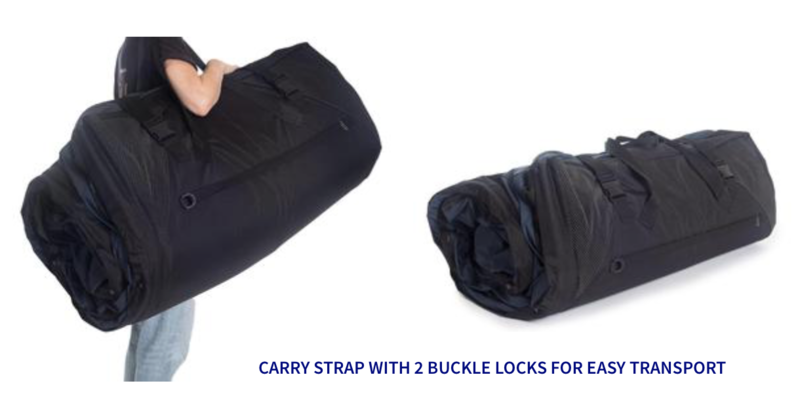 The quick inflate blower is designed to prevent bottoming out quickly inflating the mattress in 45 seconds. Patients no longer have to worry about a crater or depression in the middle of the mattress when seated. One touch seat inflation increases air to the mattress cells with the push of a button. Select patient setting by weight or adjust using the 8 variable settings for maximum comfort. 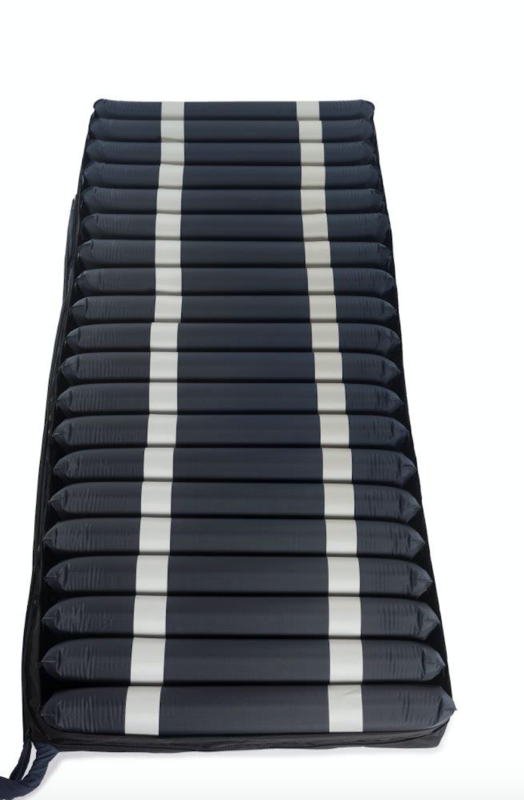 Max Float inflation setting allows the patient to safely transfer in and out of bed on a safe firm sleep surface. The 4 way stretch cover is soft and quickly dries preventing heat and friction to the skin. The 10" thick mattress provides exceptional comfort for all patient weights and fits over a standard hospital bed frame. Built in cell in cell design prevents the patient from "bottoming out" in the event of a power failure. 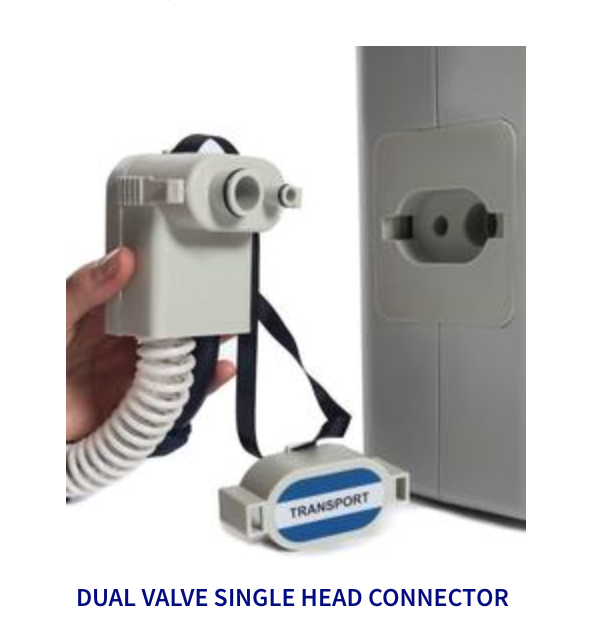 Transport connect retains air for over 24 hours in the event of power outage or patient transport. This true low air loss system is perfect for a long term care patient who spends more time in bed. Heals and prevents stage 1-4 bedsores. DUAL CONTROL SETTINGS � FOR THE STANDARD AND BARIATRIC PATIENT UP TO 1,000 LBS. 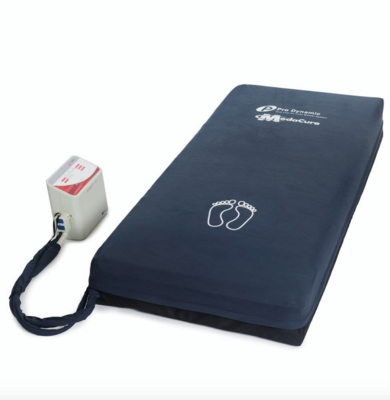 CPR EMERGENCY DEFLATE FUNCTION � EASY ONE TOUCH CONTROL DEFLATES THE MATTRESS IN 30 SECONDS. MAX. WEIGHT CAPACITY: 1,000 LBS. TRANSPORT MODE � RETAINS AIR FOR OVER 24 HOURS WHEN IN THE EVENT OF A POWER OUTAGE OR DURING TRANSPORT � SO THE PATIENT WON�T BOTTOM OUT.